Our January meeting will feature an in-depth talk on winter feeding. We highly suggest attending! Dry sugar and fondant, the two holy grails of winter feeding, are most commonly used as emergency feeding. You could just pour dry sugar in the inner cover, but this requires the outer lid to be removed so we use a variation of that method. My mom found the idea of dry sugar cakes over a year ago and it’s not precise but it’s easy and effective. Dry Sugar Cakes - it’s just sugar and water. Fill mixing container with White Cane Sugar. Add water until sugar becomes moist and starts sticking together. Dump and press the mixture into parchment lined, large baking sheet with sides. Although any baking container can be used. Let dry until hard, or (if you’re in a hurry) place in oven at 170 degrees with oven door ajar, until hard, let cool. We like this method because it’s simple, stores indefinitely, and we can carry the pan out to the apiary, break it into large chunks, and just slide it into the inner cover by lifting the outer lid only an inch, minimizing invasion into the hive. I haven’t used fondant, though I’ve heard that it is a life saver. The bees eat it up and thrive on it. My bees have reacted well to the dry sugar, but yours might do well on fondant. Once cool, wrap the fondant in plastic wrap or wax paper. You can store the fondant for several weeks in a cool place or for long periods in the freezer. But, why feed? When your girls are hungry and have run out of honey stores, they need to be fed. 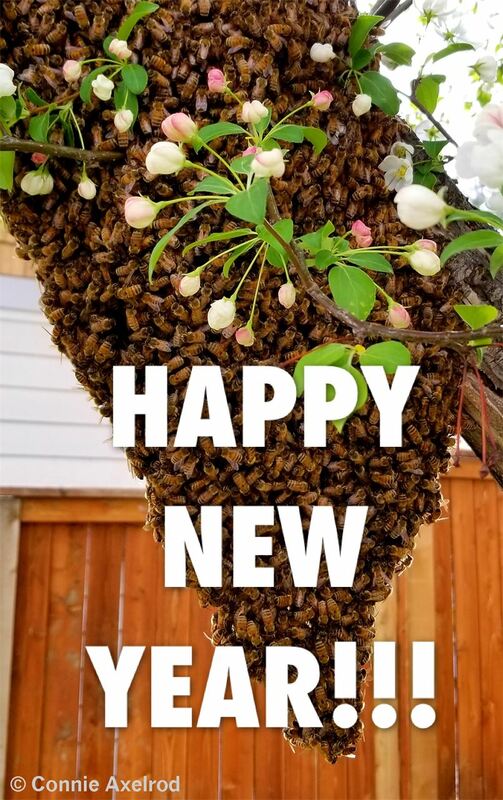 If bees run out of food, they starve, so it's just a matter of your bees being dependant on you till March, and wanting to keep them alive through the winter. Once you start feeding, you can’t stop feeding. There is nothing in bloom, and consequently nothing to eat. But feeding isn’t the only reason to be worried in the winter. There is also blown off covers and freezing bees. I’ve learned from other's experience that outer covers can be blown off by hard winds and wind tunnels. Placing a good size rock on the top of the hive lid is an easy and simple way to prevent this problem. In high wind areas a tie down strap can be used to keep the hive boxes secure. Although keeping the covers on is one thing, checking the covers is another. When covers come off, the bees freeze from the wind, rain and snow that is whipped into the hive. The chance of being in the apiary when a lid blows off is next to zero. This means damage to the affected hive has already happened upon discovery of a displaced lid. You race against the clock, throw the covers back on, run to get a strap or rock, and hope for the best. OR, you could go out to the apiary, and find your covers on nice and tight, because you prepared for the oncoming battle with the winter wind. Ratchet down the hatch, keep warm and stay fed this winter. A big Thanks to Kate Riding for writing this month's notes!